Imagine owning your own home on 55 acres just 18 miles from Kadoka, SD. right off the US Highway 73 frontage road. You won't find better views of the badlands! The property includes a nearly new 32'x60' quality modular home with 3 bedrooms, 2 baths, a partial basement, attached 1 car garage, garden space, fruit and shade trees in your yard! Rural water with a private well provides abundant quality water. There are 7 to 8 acres of pine, cedar, wild plum and chokecherry bushes along with enough grassland to keep horses or livestock. Wildlife includes mule and whitetail deer, grouse, turkey, coyote, an occasional bobcat and many other resident animals and birds. This is a unique opportunity you must see to appreciate. Take advantage of this opportunity to own a showcase property. 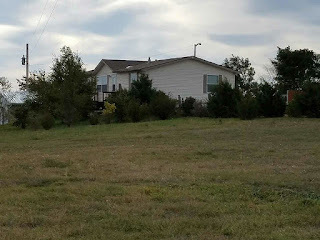 Contact Brad Otte Land & Live Stock for your private showing today, Phone 605-222-1302. Priced at $225,000.